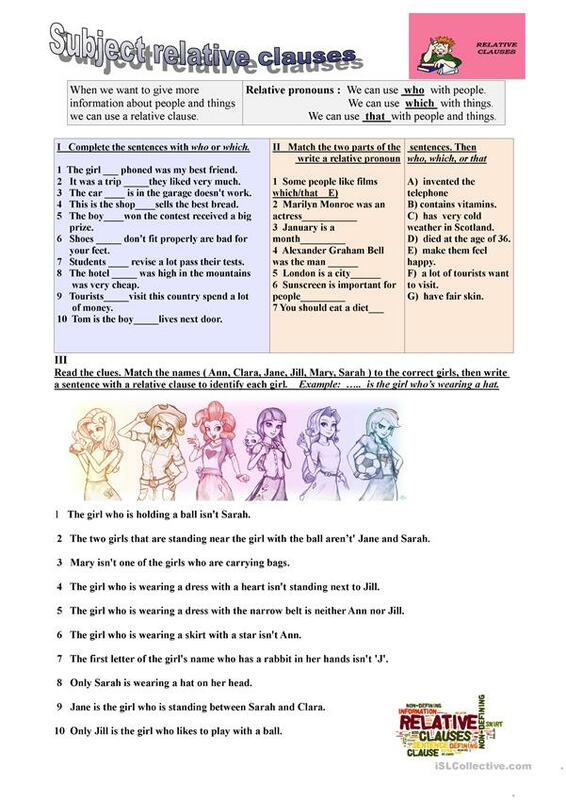 This is a worksheet for teaching and revising subject relative clauses, with key on page 2. 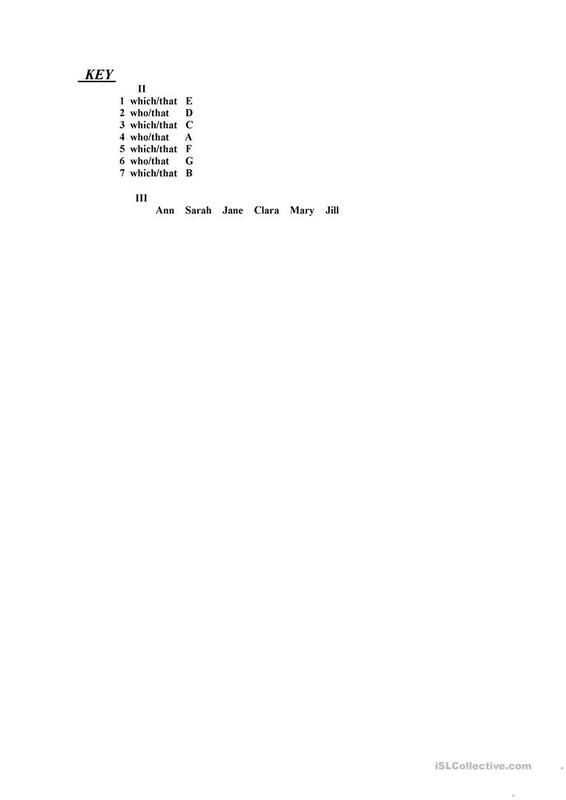 The above printable, downloadable handout was created for high school students, elementary school students and adults at Elementary (A1), Pre-intermediate (A2) and Intermediate (B1) level. It is valuable for practising Relative clauses in English, and is excellent for working on your pupils' Speaking, Reading and Writing skills. You will find the key at the end of the worksheet.